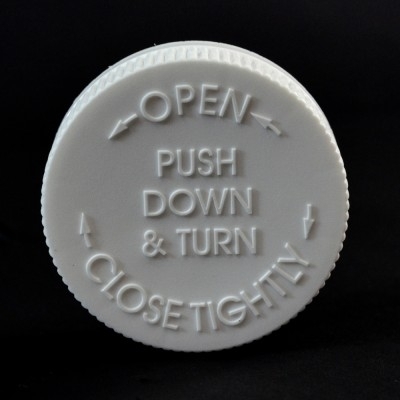 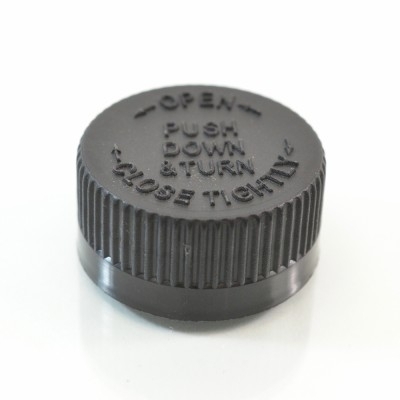 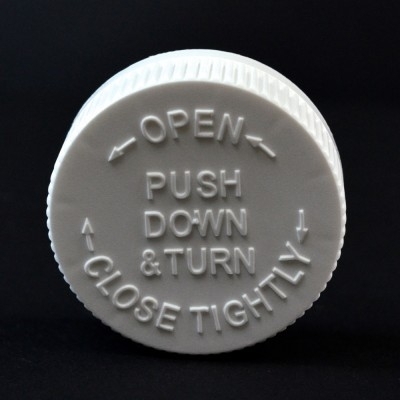 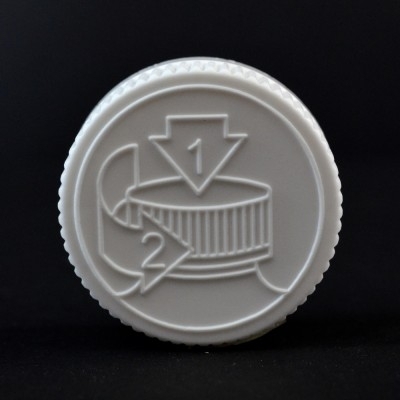 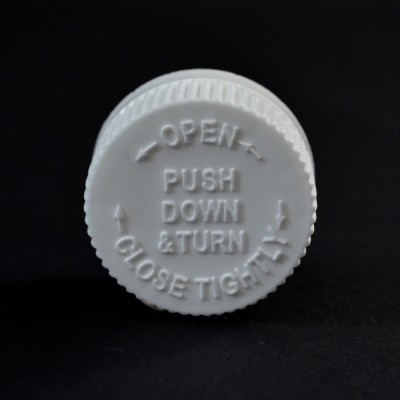 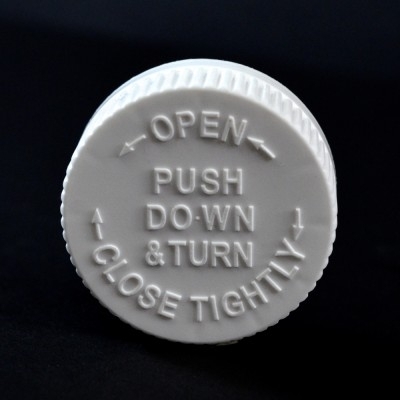 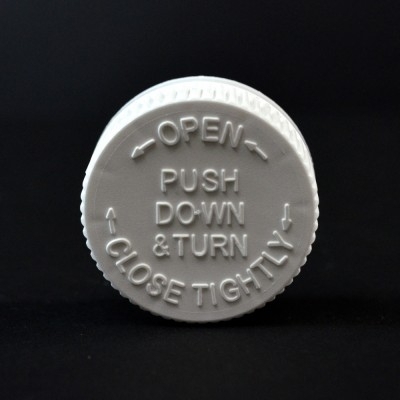 Child Resistant caps can be marked Pictorial (PICT) or with the text Push Down and Turn(PDT). 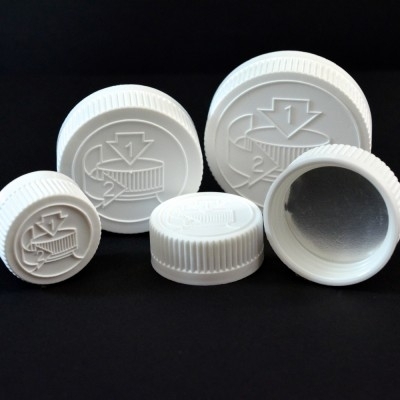 Sizes range from 20mm to 89mm. 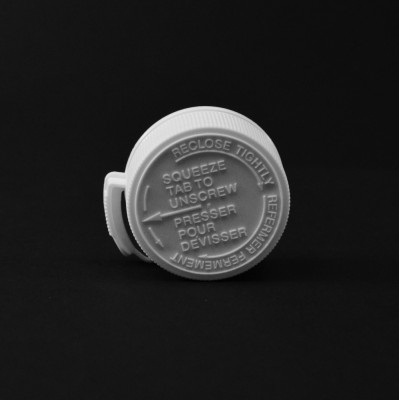 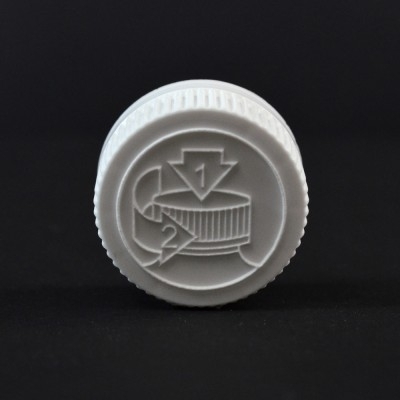 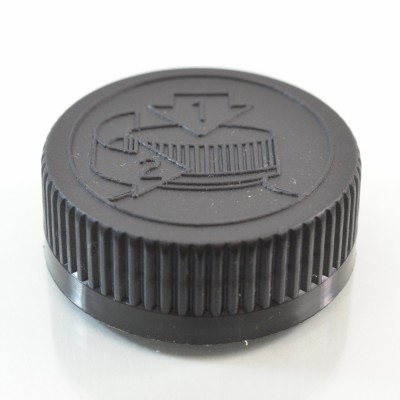 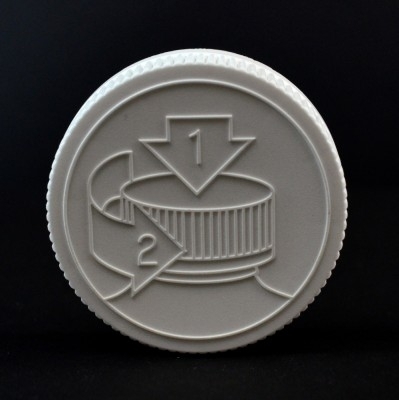 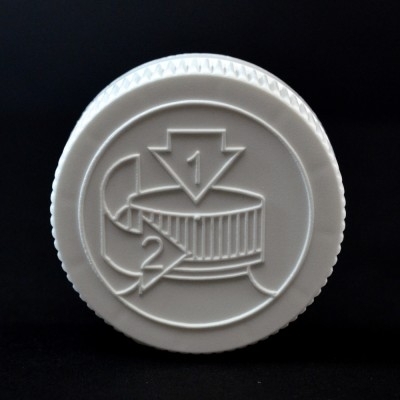 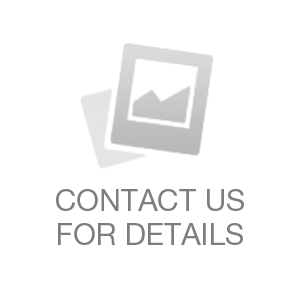 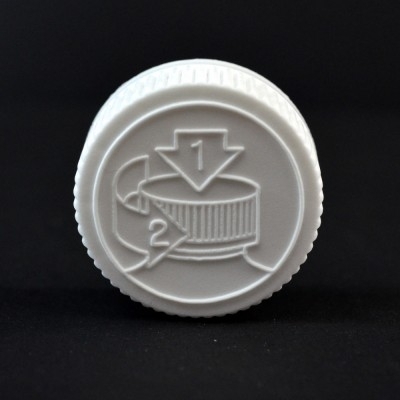 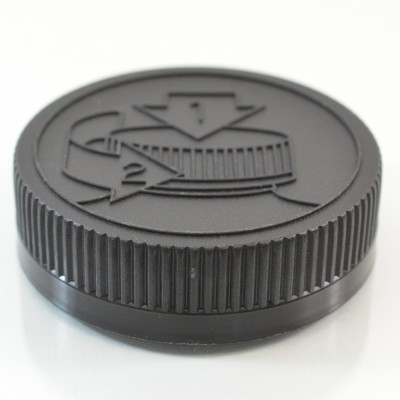 Child Resistant (CRC) Caps can be lined with a pressure sensitive, PE Foam or Induction Seal Liner. 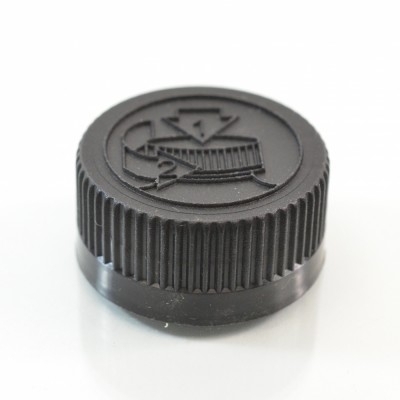 Custom Liners are also available. 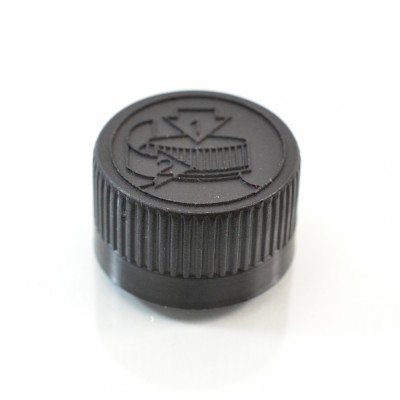 Options may include custom color production runs and more.